Purchasing your Golf Insurance online couldn't be easier! Choose from three levels of cover, to make sure you get the Golf Insurance that best suits you, and your pocket. Click on the Buy button, fill in your details on our secure SSL encrypted site, and within minutes you can be fully covered for your Golf Insurance needs. 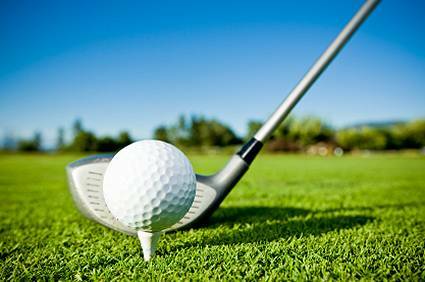 Our Golf Insurance policies have been designed to cater to the discerning golfer, offering Junior players a 10% discount, and Senior players a 20% discount. Remember, with Golf Insurance Online you can even top up your insurance from European to Worldwide cover! We are confident that our Golf Insurance policies can offer high levels of cover at one of the lowest prices in the UK. If you find a cheaper Golf Insurance deal, of comparable levels of cover, we will refund your Golf Insurance policy within the 14 day cooling off period. Why Choose Golf Insurance Online? We insure your golf clubs, golf bag, trolley, and your golf clothing. We also protect you with our Personal Liability and Personal Accident cover, against any third party damage. Don't get caught out at the bar for an expensive round of drinks for a hole in one! Includes European or Worldwide cover. Tournament Entry Fees can be claimed back in the event of accident or sickness. If quality Golf Insurance at amazing prices is of interest to you, then get an online quotation now.